Don’t tell my wife, but after all these years of her asking if I’d ever consider building new cabinets for our kitchen I’m finally getting around to doing it. Except they’re not for the kitchen, and they’re not even for our house. Instead, it’s a small build for a client. The good news is Samantha shouldn’t be too upset by it for two reasons; 1) I’m getting paid to build them, and 2) Once I’ve built these, I’ll know how to build ours even better if we still want to replace the existing ones! In today’s episode we’re getting started on the construction of a pair of overhead cabinets for my client’s laundry room. The case construction is pretty straight forward, and made all that much easier because I’m using a blind rabbet joint which makes assembling them so much easier. 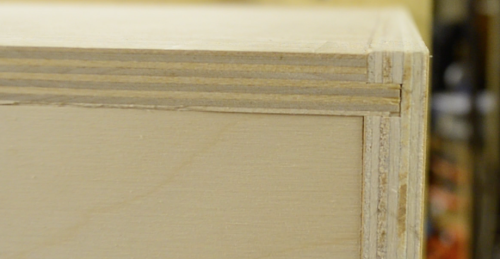 As a matter of fact, that’s what we’ll be discussing and demonstrating in today’s episode – milling the blind rabbet joint and then assembling the case from start to finish. 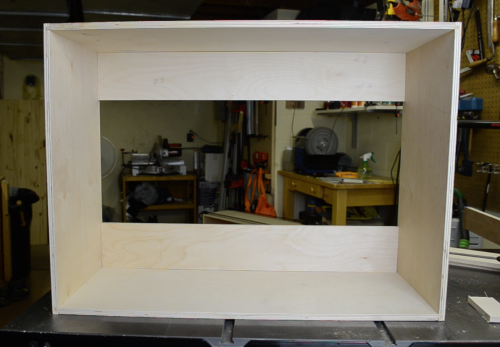 Then in the next episode we’ll move on to milling and constructing the face frame and the two sets of overlay doors to wrap up the project. « Farewell Patreon, hello future?